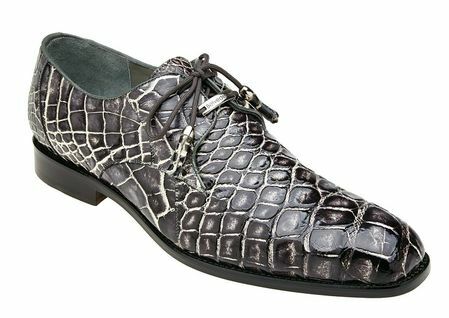 Real alligator shoes are always eye catching but imagine that these black and rust hand stained alligator shoes are hand made in a smooth toe style and you have the Alfred by Belvedere shoes. Italian style through and through and completely made by hand is only what you'll get from the house of Belvedere. Got a formal event coming up. Get your stylish Tuxedo here.